Come play and show off your brainiac skills with a new friend on the block who happens to look just like Leo from the Little Einstein’s Disney show. A flash card like educational application that develops ones vocabulary in both English and Spanish and encourages one to use their listening skills in a game like format. From developers GetBonkers Inc., Lil’ Brainiac is available to download for free for all Apple devices running iOS 4.0 or later. Amazingly, it is preinstalled with a large library of images and clipart for children ages 1-10, as they explore and learn, children will be able to make personal connections to a number of items and even learn a few new ones. Have you ever visited a home or classroom setting that has notecards taped all over the place that indicate what each item in the room is? If you answered yes, then Lil’ Brainiac is the mobile rendition of this effective learning technique. Upon entering Lil’ Brainiac, users will be greeted with an adorable four eyed friend whom we unfortunately do not see again and a large START button above his head. Like any user, adult or child, one might think to immediately click the START button. However, before starting, users will want to visit the “information” button in the lower left hand corner of the screen. A note to the developers – might it be possible to click on our adorable friend in the middle and have him provide a brief explanation of where to begin and what to do? Most mobile device users might think the “informational” button will provide generic information about the developers and acknowledgements to those that worked on the project. However, your informational button provides a great deal more and should not be overlooked as it will truly make each child’s experience different. To meet the learning needs of the individual using Lil’ Brainiac, an educator or parent will want to access the many option features available. It is here that the type of gaming experience that you want your child to have is established (easy, medium, hard or very hard). If at any time a games level is too easy or too challenging, simply reset this option. Regardless of which mode is chosen, the object the of game stays the same, listen for what the “announcer” is looking for and click on the square shaped card to match. If at anytime you are unsure of what the announcer says, simply click the megaphone in the upper right hand corner and the item name will be repeated. Game boards appear as an array. The easy mode is a 2 X 3, medium is a 3 X 4, hard is a 5 X 7 and the very hard is a 6 X 8 array. Once the game level has been set, select the close button and then hit START and exploration can begin. To make the user wanting more, additional image packages can be downloaded for free or for an additional fee. Additional packages can be added to your device by simply visiting the options feature. Here parents will be pleased to see that packages are broken down by age level categories so as to meet the needs of their students or children. In addition, clipart packages are available in both English and Spanish, a great option for those sponge like minds that our children have. Another nice feature is the ability to add your own photos which can coordinate with a familiar voice recording. Those images that are stored on your device are very easily accessible and are then added to the Lil’ Brainiac library. As children build their file folder of new and old vocabulary words, they will be required to listen and tap cards, correct answers are indicated with a green checkmark, while incorrect answers are indicated with a red checkmark. At no time are children timed or penalized for incorrect answers. Simply try again and the game continues. Once all items have been found, a firework show of stars and trumpets will flash and game play continues to the next board of items. Play does not end until the house icon in the upper left hand corner is pressed. Overall, Lil’ Brainiac is a very simple concept that provides users an interesting way to learn new words as it is academically appropriate for a large age range. Come play with numbers, letters, US States and Capitals, food, animals, various forms of transportation, learn the meaning behind facial expressions or see the amazing sights of the world. Whether you are using this application individually or with an adult, it can spark new conversations of unknown things. If you would like to learn more about GetBonkers, Inc., be sure to visit their website. Or simply click here to expand your child’s growing mind with Lil’ Brainiac for free today! Do you have a house full of toys that aren’t getting played with? Would your youngster(s) rather play board games or cards? If you answered yes to both of these questions, then you and I have something in common. My five year old son can spend hours playing all kinds of games. Developers and childhood friends of Wombi apps have added to their collection of fun, educational apps. Their most recent launch is simply called Games for Kids. Designed for all your Apple devices running iOS 4.0 or later, you won’t be disappointed as you and your little one play six classic games on the go. With eye pleasing graphics, 3D like animation, clear directions, various parental options and verbal reinforcements come build your vocabulary, memory, and such mathematical skills as recognizing patterns and sorting objects. Through three levels of difficulty, each game can challenge children 4-7. Games for Kids will keep your child so engaged that they won’t even realize that they will be learning. Prior to playing, it would be beneficial to view the various gaming options that are available. In the top right hand corner there is a cogwheel like icon, simply tap it twice and here parents will be able to set and/or change their child’s learning experience. Such options include turning on/off the following items: show names of objects, use only uppercase letters in names, play voice over, play background music, speak instructions, and child lock options. In addition, parents can manipulate the level of difficulties from easy to hard. Games can be played in multiple languages: Swedish, English, Portuguese, Dutch, Danish and Norwegian. If english is your primary home language, it might be interesting to experience Games for Kids in a different language as young minds are like sponges and learning a new language can be very valuable. Lastly, parents can set the number of questions that need to be answered correctly, ten being the most. From the main menu, Guess the Word is the first choice, however, games can be played in any order and repeated as often as necessary. The narrator will very clearly say a word and with six choices you are to match the word with its picture. Based on the options that were set in the parental guides, players will see a empty star graph at the bottom of the screen. The number of stars is based on the questions you need to answer correctly. With every right answer, an empty star will be filled in. If a player happens to miss what the narrator has said, simply click the question mark bubble and he will repeat the word. With a tap of your finger tap the correct picture, if you tap incorrect, it will make a bouncing sound and will shake. If correct, it will enlarge that picture and scrabble like pieces will be used to spell that word underneath. A note to the developers – might it be possible prior to moving onto the next word to tap each letter so as to hear the sound that it makes. In addition with one simple swipe over the whole word, could the narrator say the word one more time. If this were to be added, it might be a good idea to add in a forward green arrow or symbol so users know how to get a new question. Next in line is Odd One Out. Here players will need to look at nine images, these images can be broken into two categories: fruit, vegetables, animals, instruments clothing to name a few. The objective is to find three things that does not belong with the rest. Knowing the population that these games will meet, it might be helpful to set an addition lock mode. Sometimes our young friends are too quick to hear certain narrations/explanations because they have already clicked to move on. Regardless of certain objects being the “odd ones out”, it is still important that they see and hear the vocabulary word. Adding in a waiting time to hear and see each “odd one” before the next one can be selected. The Sorting Game is very clearly designed. At the top of the page are two to four categories and are represented pictorially and verbally. Each of these icons can be tapped on and will explain its meaning. In the middle of the page are four to twelve objects, it is your littles one goal to drag and drop each item into its correct box. The number of categories and objects will dependent upon which level of play you choose within your options setting. With one simple tap of an object, your finger magically picks it up. Simply drag it to a category and let it go. Players will know that they are correct when the object is let go, the narrator will announce what that item was. If incorrect, the narrator will say nothing and that object will return to the choice tray. A note to the developers – might it be possible in the easy level to add in the option of tapping items in the choice tray as it is read first. Some items may not appear as they may know them. By adding this feature it would give those questionable items to children an opportunity to problem solve which bucket it belongs in. Next in line of those games of choice is Memory. As you play memory the only difference that will be noticed is that there isn’t a star reward bar at the bottom of the page. Depending on the level of choice chosen, this will determine how many cards will be placed upside down. With their recall strategies, players are to find all the matching pairs. When a match is located, a large image of that object is presented with the word spelled out below. Sounds simple enough, but will certainly keep the attentions of your little one. The last two games are The Parade and Jigsaw Puzzle. The Parade immediately caught my attention as my kindergartner came home last with math homework that required him to make patterns. According to our town’s district benchmarks, kindergartners should be able to: extend, describe and create a variety of patterns including visual, rhythmic and movement and be able to use rules to sort and make patterns. The objective of the Parade is to drag what is missing to the empty spot, thus finishing a pattern of fruits, clothing, animals and such. Through the exploration of the Parade, children will be meeting these two end of year benchmarks. The final exploration of play is Jigsaw Puzzle. Jigsaw Puzzle takes those objects that they just made patterns, sorted, and matched with and cut them into various sized pieces depending on the level of difficulty that was preselected. Overall, Applicable2U was very impressed with this interactive and educational app. It provides a nice amount of verbal reinforcement, it extends skills to meet the learning needs of multiple age levels and it rewards users with stars that are earned. As players complete games successfully, bonus games are added for further interactivity. Through our exploration, the firework popper was our all time favorite. What will be yours? For a simple .99¢ download, you can have your youngster gaming for a reason. If you would like to learn more about Games for Kids or any other apps by the Wombi App development group, please visit their website here. Or you can begin downloading this classical games to your Apple device by clicking here to access your iTunes library. Come swim along the shores of Wave Reef as you test out your addition skills. From the developers of Motion Math and Motion Math Zoom, young mathematicians will not be disappointed with their recent addition – Motion Math Hungry Fish. Designed for all Apple devices running iOS 4.0 or later, this initially free educational app will get your gills wet as your student or child ages 4-12+ feeds their very hungry fish with numbers. For those educators or parents whose state is now or soon will be following the Common Core Standards, it is important to note that Motion Math games are designed with such standards in mind. Hungry Fish is applicable to children just learning the concepts of numbers and addition to adults looking to brush up on their brain stimulation. With wonderful graphics, easy to navigate tutorials and playful modes of creativity, users will want to unlock more. Additional levels can be added to your device through an in app purchase of $3.99 for each of the following: Subtraction and Negatives or purchase the whole fish tank for $6.99. Luckily, these fish won’t die as quickly as those from the pet store. Upon entering the application users will want to observe their “fish tank.” In the bottom right hand corner, users will see four icons: a fish, musical note, trophy and a question mark. Each of these icons will support and guide the user as they go fishing. If this is your first time playing, users will want to tap the fish icon. Upon tapping this icon, it would appear that an unlimited amount of fish “users” can be added to the application. Through exploration and gaming, users will be able to associate a creatively designed fish of their own to their account. If at any time, the sound effects or music becomes a distraction for students, simply return home and tap the music icon to off. Based on your successes, the trophy icon will store your high score as it relates to other fish in the sea. Within the question mark icon, users and parents will find a great deal of resources. With a how to play, a parent guide, and options, each users experience can be customized for them. In addition, this home tank provides positive reinforcement to those playing, in the bottom left hand corner a very basic reporting system of your points, a multiplier, the number of colors you have unlocked, and how many fins styles your fish can have. Once your fish has been dropped into the tank, it is time to play. Play can begin in two ways: tapping the play arrow in the top right hand corner or interactively. With your fine motor skills, tap and drag your fish across the screen and watch it follow your finger tip. After a little playtime, it is time to get academically playing, drag your fish up to the play arrow. Your first experience with Hungry Fish will require you to begin with the introduction. Here narrators will explain how to play. Feeding occurs through number recognition and combining numbers to make new sums so as to feed their fish. Hungry Fish is visually explaining the concept of mental arithmetic as it shows multiple ways to make the same number. With this free version of Hungry Fish, users will have access to 18 levels of difficulty as they explore the Wave Reef. Levels of difficulty can range from simple number matching, to faster gameplay, to even challenging for the most math savvy individual. Regardless of which level you choose to play, your goal is to feed your starving fish. In the tank, you will see your fish will have a number on it, it is your goal to drag and drop a floating bubble of that same number into your fishes mouth. At times, there are no bubbles with the exact number and it is now time to do a little combining. If combining is required, then you must overlap bubbles to form a new numbered bubble. It is important to note that your fish only likes to eat one bubble at a time, it’s matching number on its stomach. As you strategize combinations, don’t panic if you accidentally combine the wrong number, the surrounding sea life will blow out new bubbles so that you can fix your mistake. Luckily no time will be eliminated from your score, however, with every mistake or lack of feeding, your fish will get smaller. No person or even fish likes to starve. Overall, Applicable2U would give Hungry Fish two thumbs up! From the standpoint of a teacher, knowing that my students can actively be meeting the Common Core Standards in math at a variety of grade levels in one app is worth the download. Yes, there is an added expense to extend the learning with subtraction and negatives, but for $6.99, it seems rather minimal. Seeing my own addiction to it, I can only imagine how my students might feel. If you would like to learn more about Motion Math, please visit their website here. To begin feeding your virtual fish today, access Hungry Fish in your iTunes library by simply click here. You will not be disappointed! “On a distant plant, there lives a colony of rapidly evolving creatures, using math, they learned to harness the power of the universe and to control the world around them. However these math secrets are being lost due to a hostile alien force. You have been brought on to learn, evolve and save our planet from destruction.” This is how the story begins when your first – sixth grader steps into a whole new evolution called Math Evolve by Zephyr Games. With so many states moving towards implementing the Common Core standards, teachers and parents need to be aware of alternative ways of reinforcing these standards so as to make them more knowledgeable and skillful learners. 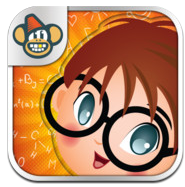 With a video game like feel, Math Evolve is designed for your any Apple device running iOS 3.0 or later. Travel to unknown places as you cross environments such as the ocean, space and under the eyes of a microscope. Through this journey your mathematician will be gaming for a reason as they improve their math fluency, number sense and mental math skills. Come aboard this lively adventure as Math Evolve allows for multiple users to make an attempt at saving our planet. Math Evolve is equipped with two modes of play: story and practice mode. 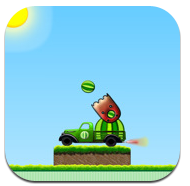 Each provides the user a challenging experience as they evade and destroy the enemies. The story can begin to be told based on a particular users mathematical needs. Math is broken in three levels of difficulty: easy, medium and hard. In addition, games can be further challenged as you decide whether to play as a beginner, advanced and expert. Initially there are only 3 levels unlocked, with success additional levels are opened. With a total of 12 levels and three environments, creatures (players) will not be zoning out with this educational video game. The traditional way of learning your facts, flash cards or worksheets has come into the 21st century skills. Immediately teachers, parents and students will see that in order to save Earth, students are answering problems in a variety of ways. Solve problems as basic math facts (7+3=__) or fill in the missing blank (__+ 3 = __ and 7 + ___ = ___) and make your own equation (___ + ___ = ___). A very interesting feature of getting players to understand the properties of math: associative or communicative. As the story is being told, you will notice your character transforming as he saves the planet and defeats the 18 enemies. Use your fine motor skills as you drag this small alien creature backwards, forwards and sideways to pop the correct answer or build your own equation. Correct answers are visualized with a green checkmark and incorrect answers will be indicated with a red x. In story mode, play moves pretty quickly that users might not realize until the end of the game that they have lost points or energy for wrong answers. As you play the practice mode, users will notice that the threat of enemies is no longer present. Within this mode of play, players now have the choice to practice addition, subtraction, multiplication, division and combinations of +/- and x/÷. In addition, players now have the option to change the game play up a bit. Set your solutions with a minimun and maximum number, turn negative numbers on/off and alter the number of questions that need to be answered. A note to the developers – might it be possible to change the scrolling feature to be more exact based on what the user wants, possibly with arrows up and down rather than a bar feature. As an adult, I found setting these numbers was rather difficult. When practicing multiplication and/or division, players will be able to truly hone in on areas of need or reinforce as they can set the factors seen during game time. Landscapes will be familiar minus the distractions. In this mode of play, your little alien will be expected to catch one of four amebas. If correct, players will be rewarded with a green checkmark. If however, the answered if passed or incorrectly chosen a new component has been added, a tutor feature. The tutor feature has a calculator like appearance with the ability to see the challenging equation one more time without being in motion. A few additional notes to the developers – it would great to add in the early stages of the practice mode a slower pace as users just learning their math facts, the pace may seem a bit fast. In addition, Applicable2U would love to see equations written slightly differently or at least given an option to alter how they are written. We immediately noticed that 1 digit factors or addends were written as 2 digits. This may confuse children as this is not how it is presented in school or on homework assignments. This format may also challenge students that are dyslexic. With the quick pace of solving, they may see 02 as 20, thus changing the solution of the problem. 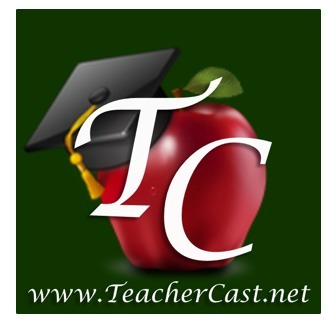 Overall, Applicable2U enjoyed their experience with this educational app. It has a great deal of academic potential for all parties involved: parents, teachers and students. With detailed reports which are generated based on the various modes of play, future instruction can then be individualized for each child or student. When your child is gaming via a DS or Wii, what are they getting out of the experience? Was the dollar value truly worth it? When they game via their mobile device as they play Math Evolve, they will not only be evolving as a savior of our planet, but they will be evolving their mathematic skills as well for only $1.99. Definitely worth the price! If you would like to learn more about Zephyr Games, please visit their website here. Start learning and evolving today by simply downloading Math Evolve to your iTunes library here.